Pulling into the train station the TGV journey sets the mood for Paris — exciting, fun, sparkling. Like a thrilling amusement park ride you can feel the speed of the TGV at over 300 kilometers an hour. The bar car is packed and we slid in to order sparkling wine. It’s my birthday and the bubblyfest is on. Little groups chatter and laugh while snapping selfies on their iPhones. We all seem to enjoy the rail ride. All is merry and bright! 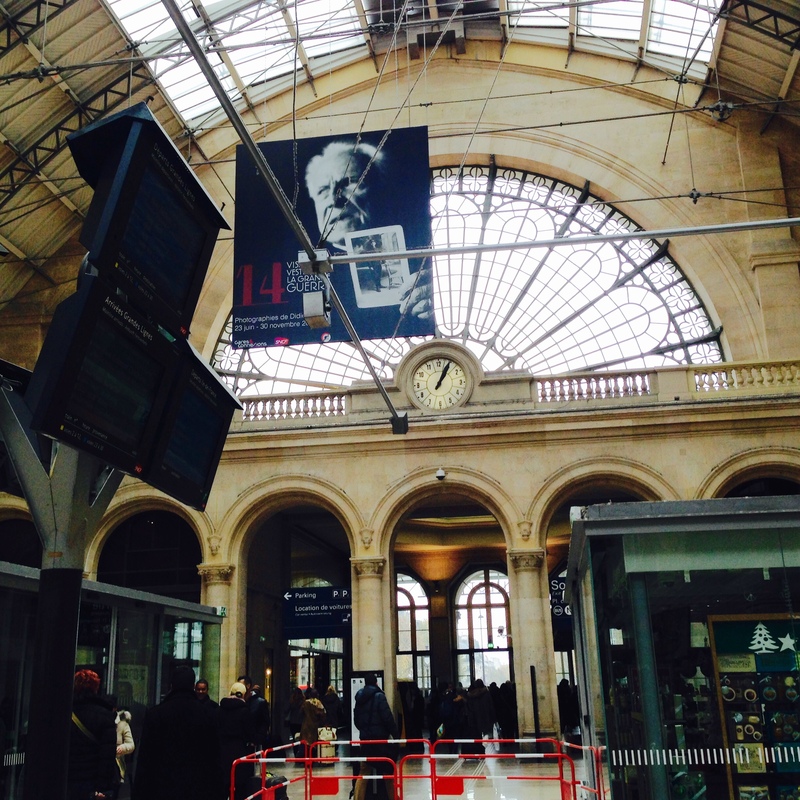 Paris’ main station Gare de L’Est itself a work of art begins the visual feast as we pass through in search of a taxi. The vibe of Paris is cosmopolitan and lively. Roller bags and walking boots move us swiftly to our taxi and we brace for the wild zig-zag ride through the streets of Paris to our hotel in the Latin Quarter. Located in the 5th Arrondissement the Latin Quarter is home to bookstores and art galleries, the Sorbonne and other universities. Its ebullience and college town feel has long been our preferred home base in Paris. 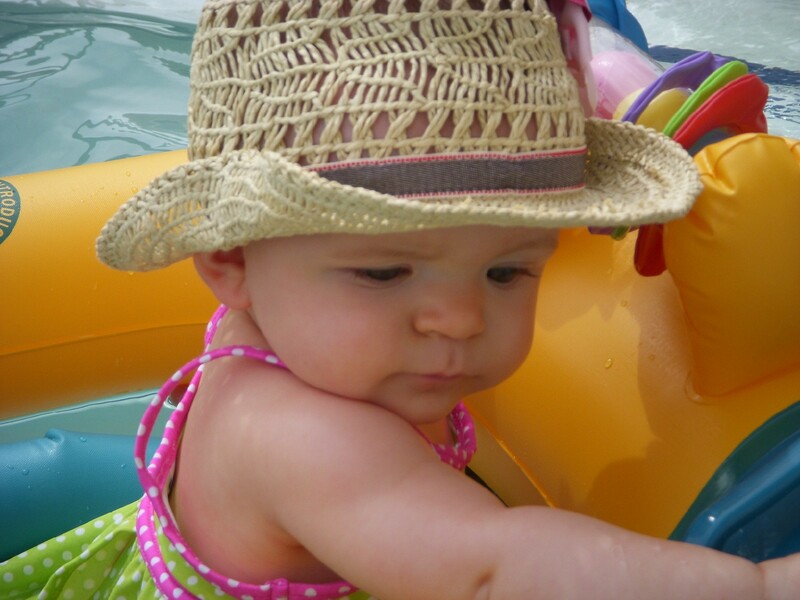 My sister is the perfect traveling companion in France. She has lived here and knows Paris well. She’s fluent in French and is very comfortable in this city . She wastes no time managing the hotel check-in. We drop our bags in our top floor room with its French doors and balcony overlooking the street. We can rest later. We hit Rue Mouffetard to find a cafe for a late lunch and a glass of wine. I love the Paris cafes with their small bistro tables and cane chairs lined side by side. Everyone sits shoulder to shoulder. It’s all about the allure of people watching and whispering secrets about life. The small tables keep eating light and the wine center stage. My birthday lunch — an entree we split — is a crisp salad with a tangy dressing, baguette slices and succulent roasted chicken served with what else, golden French fries. The wine is a cool rose. Many happy returns! 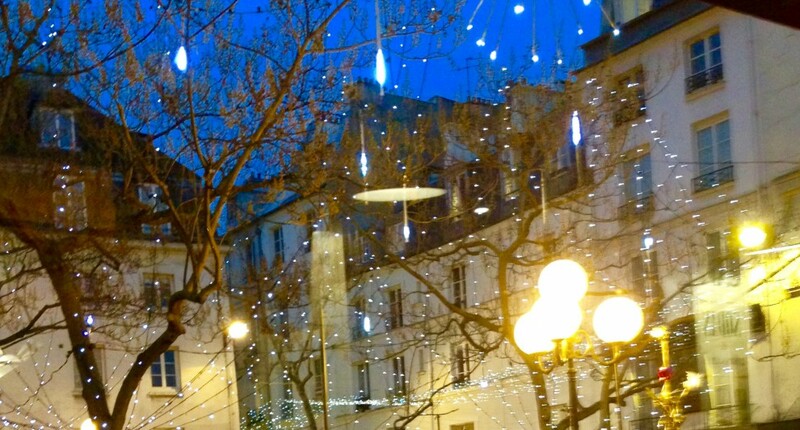 Holiday decorations and lights adorn the City of Light. This early winter visit invites a glimpse of the city extra decked out for this enchanting season. 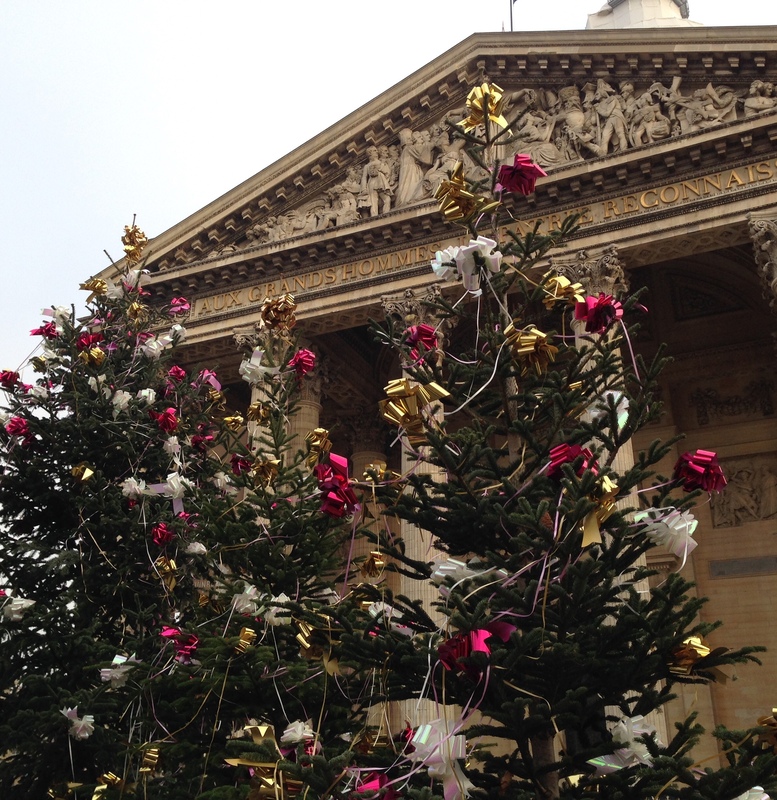 The wow factor of the Christmas tree in front of the Pantheon is its enormity, yet it is simply adorned with ribbons and bows. 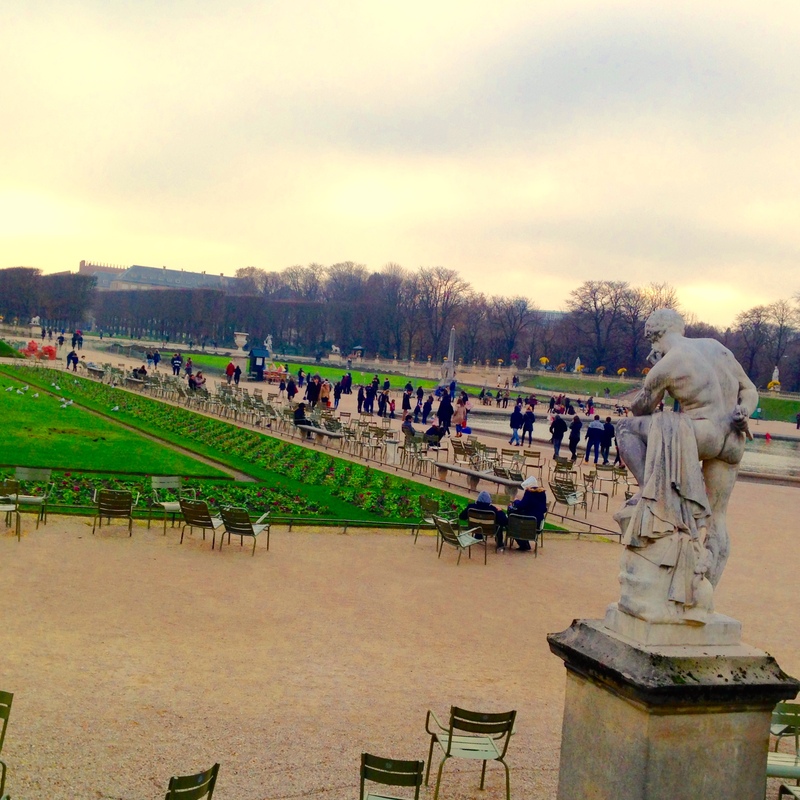 We walk among the Sunday strollers at the Luxembourg Garden. In the gardens it is okay to mosey. Some enjoy a coffee at tables around a gazebo kiosk. Children play a game of Freeze around a small amphitheater. The air is chilly and down jackets, wool gloves and scarfs feel nice. Avoir envie de faire la féte! The spell of Paris casts us on a wanderlust whirlwind in the days ahead. At the busy St. Germain Boulevard in the morning we cross the Seine and find no line at Notre Dame. We marvel the beauty of the cathedral and its unique Nativity hand crafted by artisans from Provence. We stop at Angelina’s for its famous decedent hot chocolate. At Le Carousel located below the Louvre Pyramid we purchase tickets to the newly opened Picasso Museum and the Centre Georges Pompidou where the work of American sculptor Jeff Koons is on exhibition. No waiting in long lines for us! 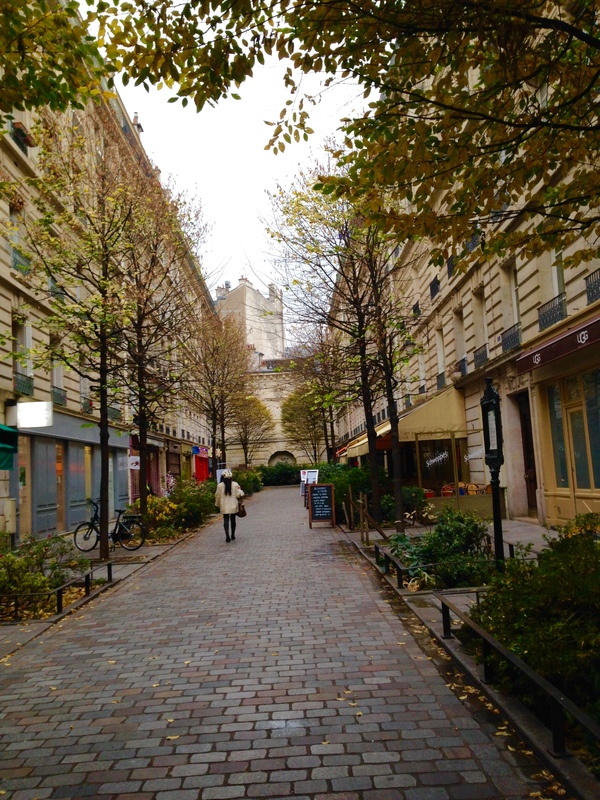 The old world feel of Le Marais in the 3rd Arrondissement is ideal for the work of Picasso. After a 5-year closure for renovation the just reopened Picasso Museum housed in the baroque mansion Hotel Sàte is elegant and Picasso shows off. He did it all in a sensual, prolific way. Absorbed in Pablo we lunch at the light-filled museum restaurant and sip on a very nice bordeaux. At the Pompidou the next day Jeff Koons’ fun and whimsical sculpture complement Picasso’s follies. At the restaurant atop the Pompidou with its breathtaking views, we indulge in salad nicoise and sip a French pinot noir while feasting our eyes on the glorious Eiffel Tower. 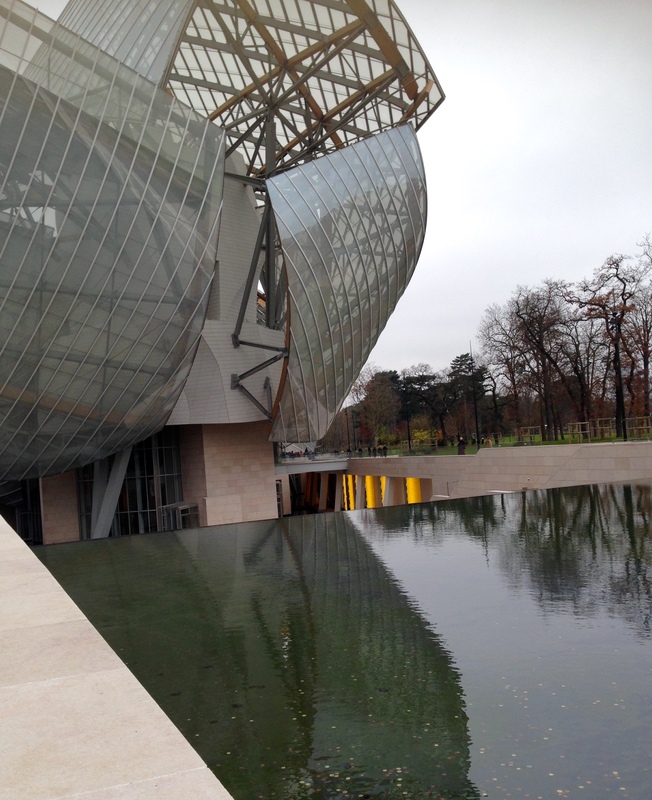 Another day we venture out to the Bois de Boulogne Park on the Paris western edge to visit the new Louis Vuitton Foundation. So new it is, there are yet no exhibitions, but no need, the architecture of Frank Gehry would steal the show anyway. It’s like nothing one has ever seen. A lover of the Los Angeles Frank Gehry designed Walt Disney Concert Hall, I’m blown away at his latest creation. Pièce de rèsistance! Our Paris sojourn is in part to shine a light on our beloved brother whose recent passing has left us longing to celebrate his life and that which he loved. Paris had a hold on him. He visited many times. Like a Parisian, he enjoyed its sophisticated lifestyle — the stage, the art, the wine, the parks. 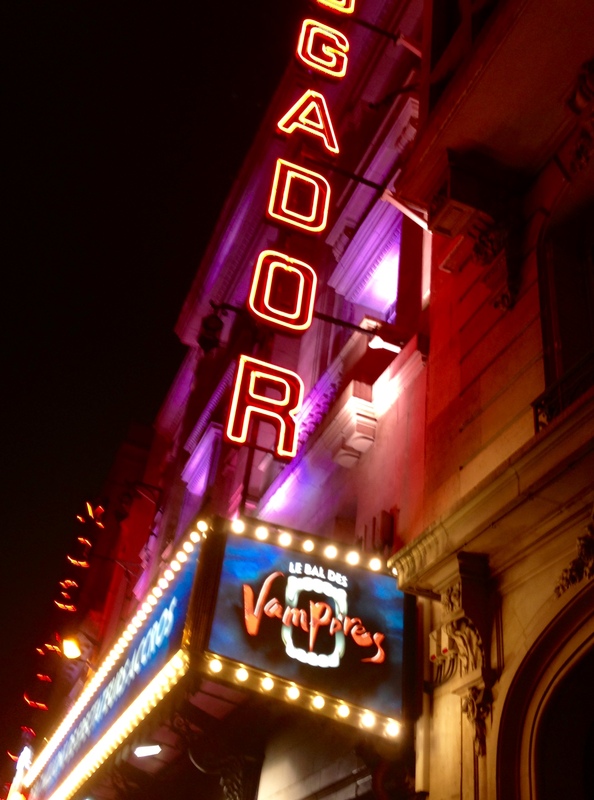 We grab tickets at Fnac and take in an evening at the Théâtre Mogador to see Le Bal Des Vampires, a musical of show dancing and the rock ballads of composer Jim Steinman including the showstopper Total Eclipse of the Heart (in French, of course). We emerge from the Metro at the Champs-Elysees just as the holiday lights magically take the sky. We find a favorite cafe, The Strada, run by enterprising young French and American kids and frequent every day for our coffee and croissant. By our last morning we’re old friends and promise to come back soon. We happy hour Parisian style (it starts at 7:00 pm., dinner comes much later) at our neighborhood cafe/bar for a glass of Sancerre and drink to brother James. Salut! We embrace the Metro, the busy sidewalks, the beautiful mix of people and cultures. We breathe in the seductive air of Paris that smells like an exotic spicy floral French perfume. 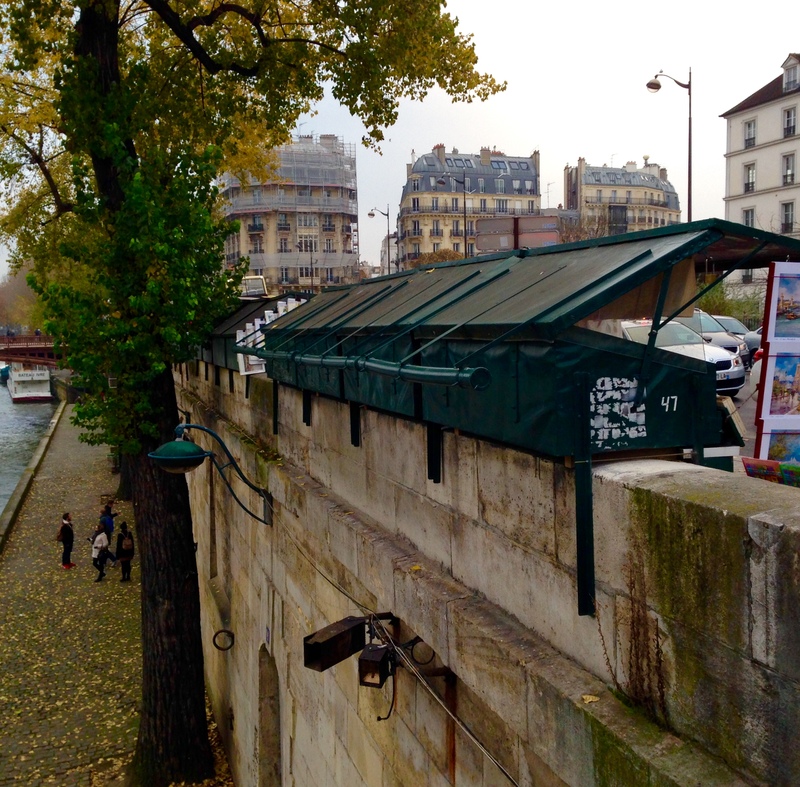 The gas lamps, the lacy yellow trees, the Seine lined with bookstalls, the well healed and the backpacker….. The love affair with Paris flourishes! We begin to pick out the hotel we’ll book next time. For now, merci and au revoir! The glistening ocean breaks against the rocks as Highway 101 reveals Santa Barbara with its white stucco bungalows and terra cotta-tiled roof tops. 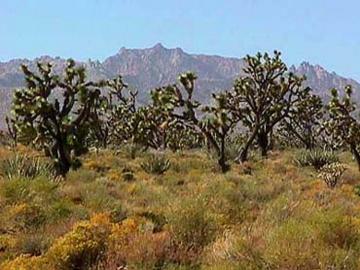 Just north the landscape opens wide to find ochre-colored hillsides covered in grape vines in every hue of green and purple. The California wine trail is long and like a giant Sequoia, Highway 101 spirals through its valleys and coastal mountains. First stop on the weekend wine getaway finds us on the road to Lompac where vineyards and wine barns are found all the way to the Pacific Ocean. We watch surfers hang ten while tasting varietals of Rhone, Pinot Noir and Syrah. Each tasting seems better than the last and the mystique of the wine terroirs of the Central Coast where small family-owned wineries offer outstanding wine lives on. Leaving the 101 at San Jose we cross the back bay and arrive at the heart of the California wine trail, the Napa Valley. When Napa Valley wine producers won the “Judgment in Paris” — the famous blind tasting of the Seventies — everything changed for the state’s wine industry, turning things from few noticing its great wine to a modern day Gold Rush. I visited Napa Valley just a short time before the historic Paris event and the limited number of wineries sprinkled along St. Helena Highway seemed thrilled to have visitors stop by. The complimentary pours were generous and the atmosphere was friendly and casual. My return to Napa finds stark contrast. The vast number of wineries today is mind-boggling and I’m curious to check on the wineries I fondly remember, the historic wineries of Charles Krug, Robert Mondavi, Ingelnook and Christian Brothers. Dirt roads and make-shift parking spaces that once led to the wineries have been replaced by vineyard-lined winding driveways and lavishly landscaped grounds with elegant fountains and benches. There are attractive tasting rooms and posh wine shops. 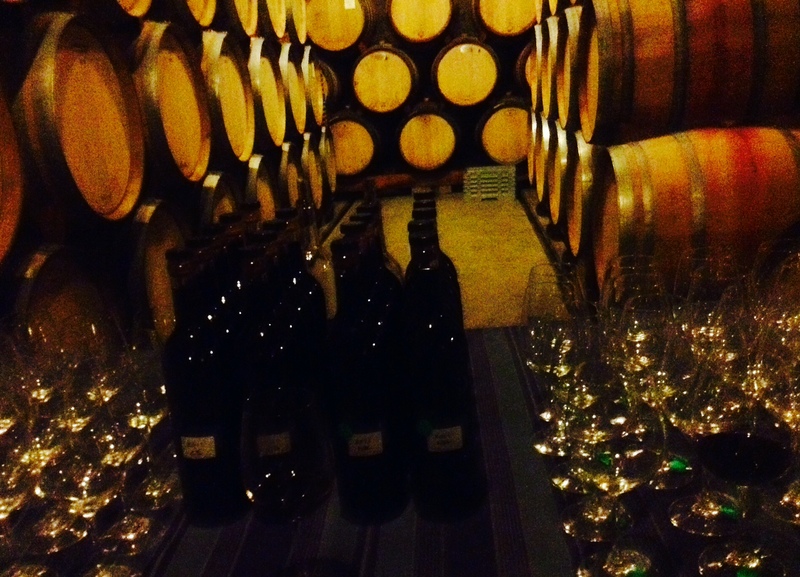 Tastings run about $20 and the ultimate wine experience is available complete with limousines and VIP tours of caves and cellars. 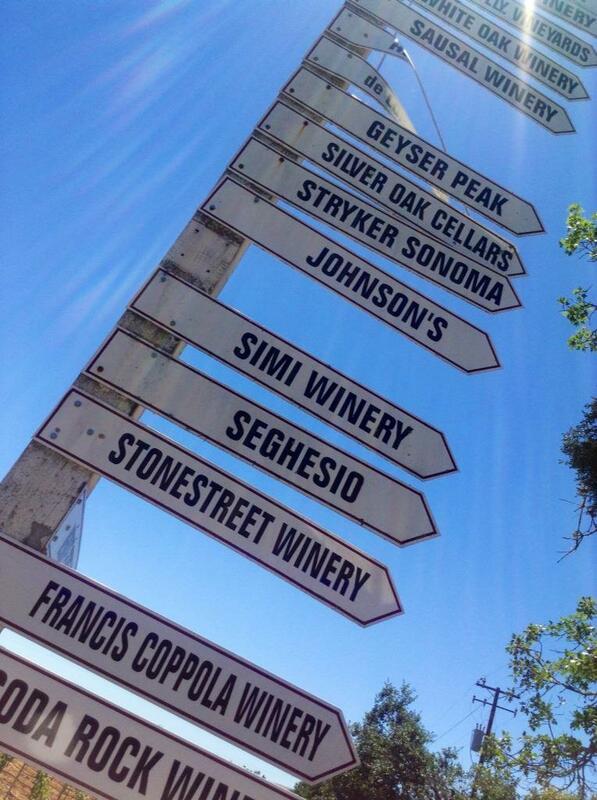 Napa Valley is upscale and visitors from all over the globe have come to relish in the experience. Stopping by the four wineries I visited long ago I discover much has changed, yet still a constant abiding commitment to organic farming from family-focused businesses. Ingelnook Winery gods owe a debt of gratitude to Francis Ford Coppola. After the success of his film The Godfather, Coppola bought most of the Ingelnook estate that had befallen to the hands of jug wine producer Heublein. Since Ingelnook was the first to produce Bordeaux-style wine in the early days, Coppola’s ownership would begin to make things right. As recent as 2011 Coppola finally bought the iconic Ingelnook trademark, admittedly saying he’d paid more for the name than the entire estate. Today its grapes are entirely organically grown and non-irrigated. The vines naturally mine through the sandy soil to find the water table deep below. The copper-roofed chateau welcomes visitors to a wine bar which also offers a small plates menu. We take our glasses of Zinfandel and cheese pairings to the outside tables to savor the deliciousness and bask in the beauty of the surroundings. The Ingelnook label assuredly will continue a legacy of natural farming and top wine. 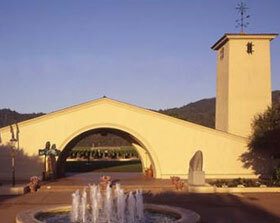 The mission-style Robert Mondavi Winery remains focused on elite wine. With its rich vineyards that Robert Mondavi began growing in the mid-Sixties when he broke away from his family wine business at Charles Krug, it satisfies the ardent wine lover. 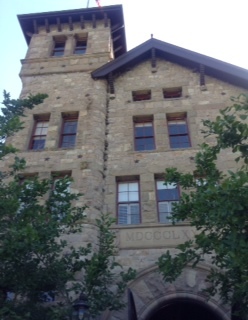 Mondavi was visionary for the Napa Valley viticulture. He spent a great deal of time studying wine operations in France and brought valuable insight to California wine-making. The art of blending varietals belongs to Mondavi. Since his death in 2008 Mondavi’s French partners clearly carry on his legacy. The tasting room during our visit is crowded and we enjoy a stroll among the breathtaking gardens showcasing the sun-drenched vineyards in the distance. When the Mondavi family bought the Charles Krug winery for $75,ooo in the 40’s it took only a year to pay the note. Robert and Peter, the sons of Italian immigrants, were quick to bring innovation to wine production. Each had studied viticulture at Berkeley. Peter implemented cold fermentation, essential to producing white wine while Robert brought the concept of small French oak barrels for aging the reds. The famous split of the brothers left Peter to manage the winery, now the job of his sons. The Bordeaux-style of wine making continues today. 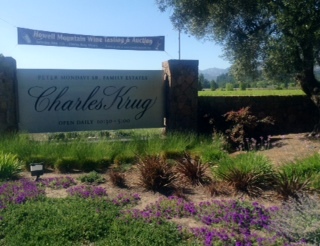 Where Robert Mondavi Winery feels nouveau, Charles Krug Winery is old world. We find the tasting room welcoming and enjoy a tasting. The wines ranging from Fume Blanc, Chardonnay, Pinot Noir and Cabernet Franc are delectable and we linger to chat with our host, learning that the elderly Peter Mondavi still lives on the property. 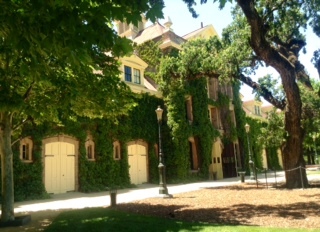 Christian Brothers Winery, started by an order from France to fund its schools, is today the home of the Culinary Institute of America at Greystone. The school offers classes for food and wine professionals and boot camps for the enthusiasts. The field to fork movement is everywhere. 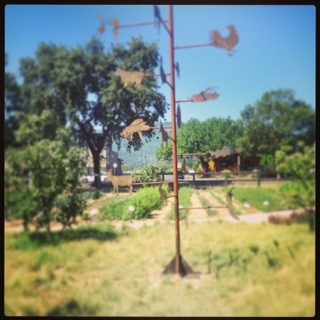 The vegetable and herb garden of the swanky French Laundry Restaurant is full with tourists when we drop by. We find the chef there inspecting the rows of fresh vegetables and selecting some fresh herbs. 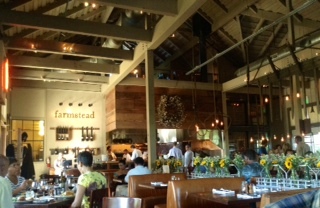 We dine at the Long Meadow Ranch and Farmstead which offers their own locally raised meat and preparations fresh from its garden right outside the dining room. Our organic beef sliders with carmelized onion rings are succulent. We wash them down with a bottle of rich peppery Cabernet Sauvignon. My return to wander the vineyards along the St. Helena Highway has been parts wine, gardens, tasting rooms old and new, food, and upscale ambiance where wine takes the stage. It’s been an enjoyable weekend and I’m hit by the wine bug once again as we emerge onto the 101 South to cross the Golden Gate Bridge. 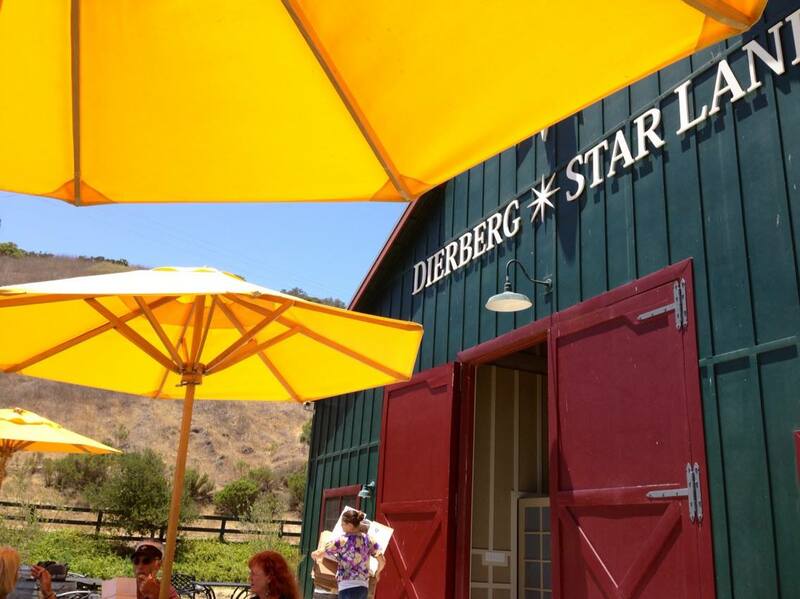 The real juice on the California wine trail is no secret. 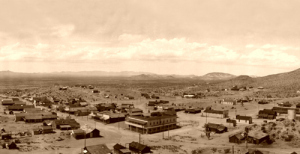 Excellent wine is California’s forte, an agriculture industry unique to its rolling hills, its coastal setting and its mild Mediterranean climate. The beauty of the vineyards is not to be missed in the Golden State and wine lovers can be found at the wineries enjoying its bounty. We begin the day at the Polish flea market in the Tiergarten near the Brandenburg Gate where huge pieces of the Wall remain. For the moment my love of crystal takes over and I’m absorbed looking at the exquisite pieces I find laid out on the peddler’s blanket. I choose a delicately etched water pitcher after difficult deliberation. The boys are jazzed with a couple of old Russian watches. Happy for now with our purchases we hit the street to see old East Berlin. The Wall has down for only six months. 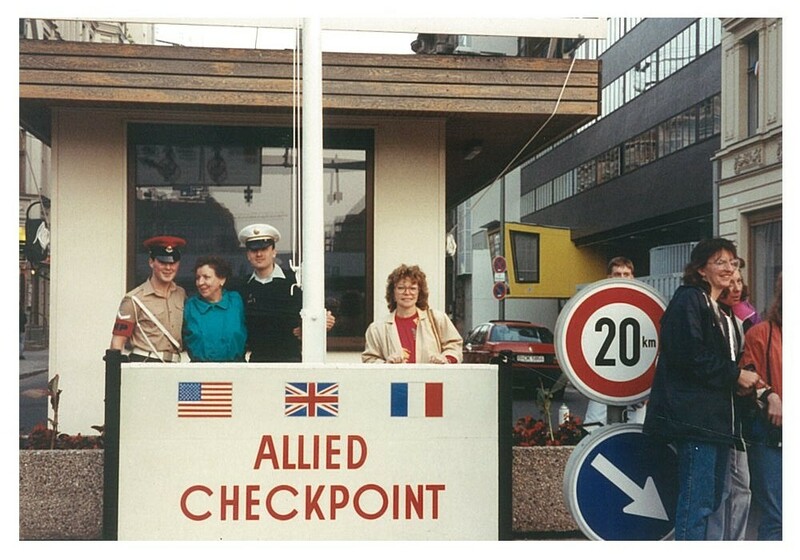 The mystique of what life was like before the Wall fell hangs thick in the air. It is an exciting day to be in Berlin. The Wall panels that have yet to be dismantled fascinate us. They are covered with years of graffiti from the hands of artists and poets alike. 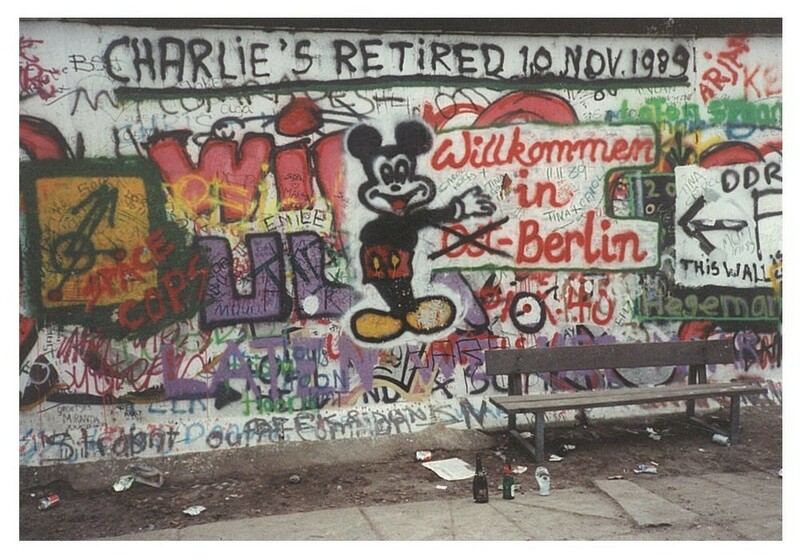 Only the West side of the Wall was ever painted by all of the unknown artists over the course of time it stood. The East side is blank. As we walk the Wall’s footprint, we are in awe and uplifted by the messages found in the grafitti. 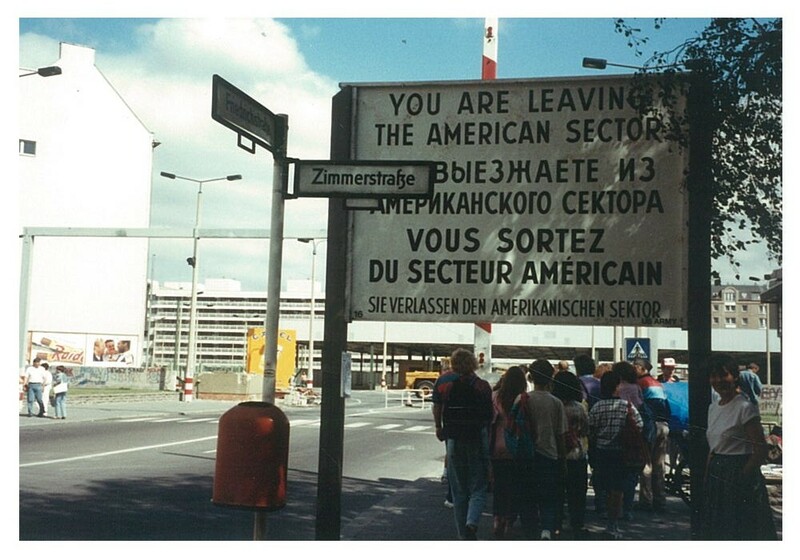 The contrast of the life of East Berliners and their separation from freedom to the the free spirit of West Berliners lives contained in the their writings and paintings is apparent. Now the barriers that separate us have come down. 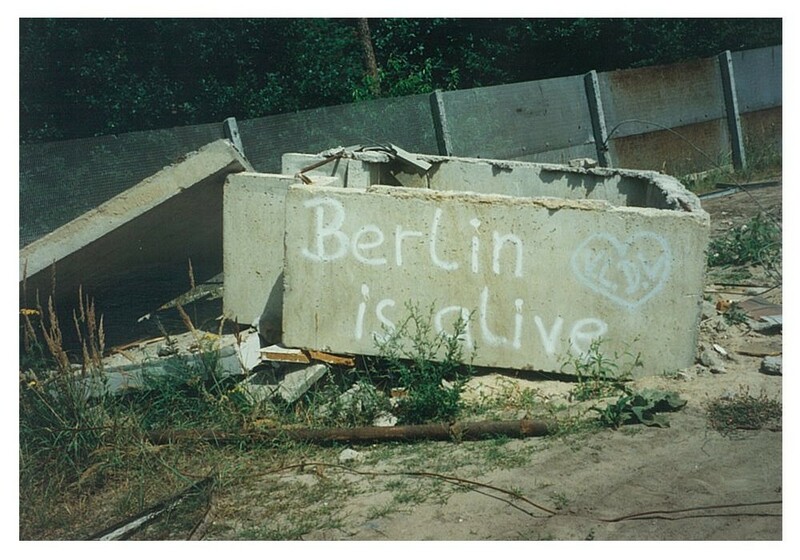 On this day in Berlin we feel the sense of victory of the many lives that had cried out for peace and love. The boys have fun hammering for their own personal pieces of the Wall. We are joyful as we talk and excitedly share what we see. The former divisive Wall is now art work that brings our family together. Our next stop is Checkpoint Charley. The museum is in a state of flux, attempting to reflect the recent historic event. 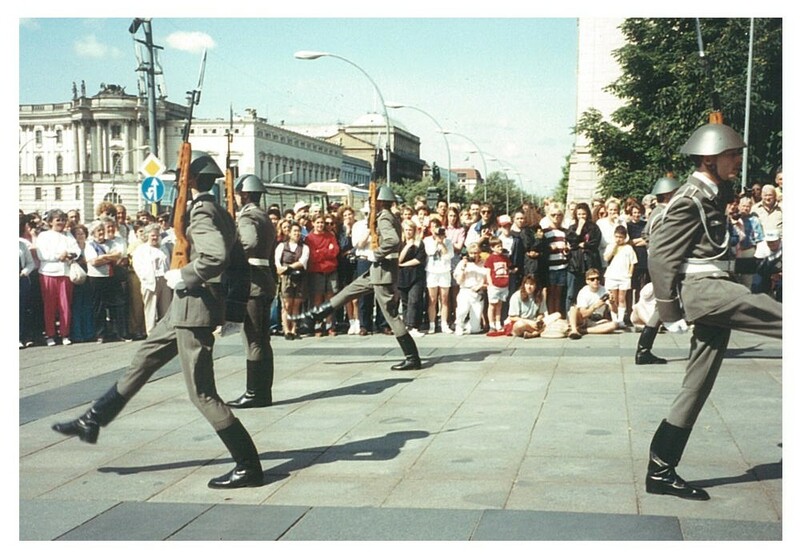 East Berlin soldiers in their stovepipe boots march their sentry steps, then hang around smoking and look abit uncertain of their mission. We have our passports stamped and look around the museum, reading stories of those who attempted and sometimes succeeded escape to the West. Many of the shops in old East Berlin are now shuttered. We find a Russian shop still open, although the shelves are very sparse of merchandise. What remains is primarily pottery and those ornate Russian dolls. We buy souvenirs using a combination of German marks and East Berlin currency. The day has its strange yet magical moments. We stop for dinner at the elegant Oranian Cafe, a famous Jewish eatery which was once frequented by the many local university students. We feel oh so hip that we are here to frequent it as well. Oranian’s is now part of the Berlin of bygone days. I know for us the day will end with memories of a wonderful time together in a magnificent city facing and adapting to rapid change. 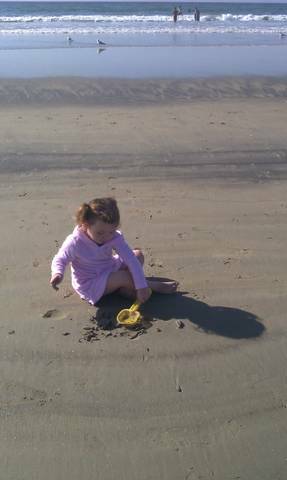 Like this great place, my boys and I will all too soon find our lives rapidly changing. We will take with us the messages of the Wall to light our way. Peace and Love.